I’m meeting Bianca at Mile End park where she trains almost daily. It’s 8:30 am and she’s already on the track. It feels like a secret urban courtyard, flanked by a community sports centre and surrounded by tower blocks. 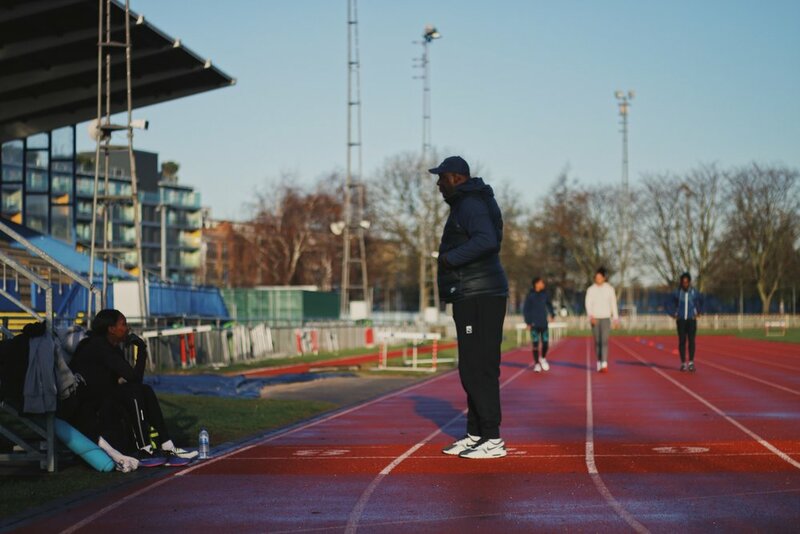 Unless you knew what you were looking for, you’d not know that some of Britain’s top athletes are here training every day. The sun is still golden, rich light bouncing off the encompassing city adds a certain glamour to the morning. The drills last for another forty minutes, slower than drills I had pictured for sprinters, and then the group change into their spikes to start the main session. 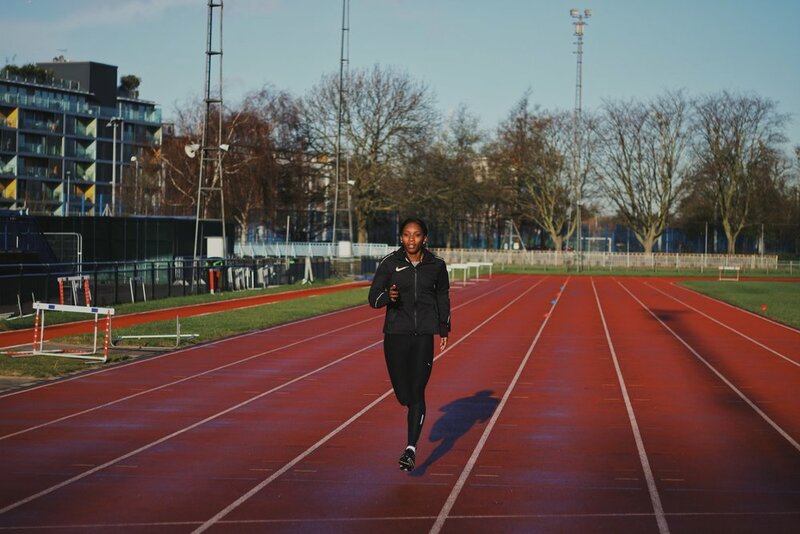 They begin with a loop of the track, Bianca leading the other women – they’re training in different distances – and stopping when they reach about ¾ of the way round to walk the remaining distance back. They truly never look like they’re trying that hard, and yet at the end of each loop they are, without fail, noticeably exhausted. It turns out this exercise is the session, and they repeat this multiple times over the next hour. 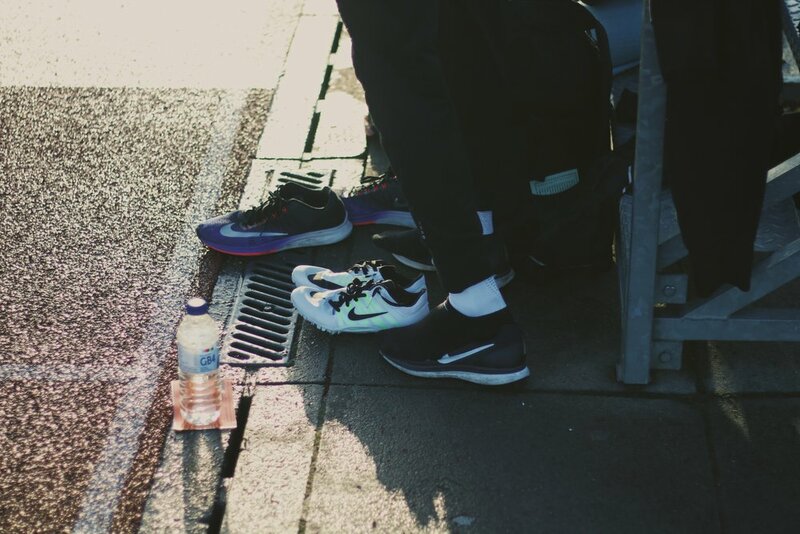 As we’re approaching 10am, their coach, Lloyd, asks one of the women, “have you got one more left in you or two more left in you?” “Two more slow ones” she sighs. 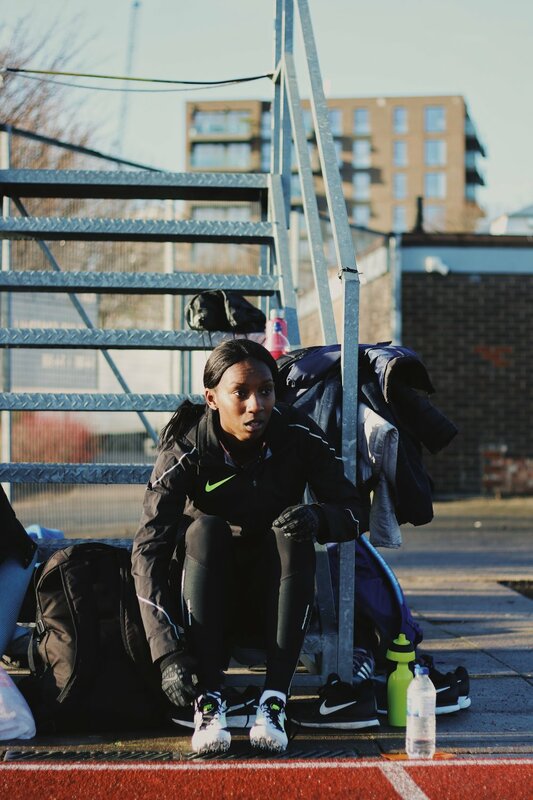 Bianca grew up in Walthamstow where her mum still lives, and she goes between here and her partner’s place in east London which is conveniently close to where she trains in Mile End. I ask Bianca about how she got into athletics, expecting a variation on a story about starting at school and just never stopping, but she immediately grins and tells me how it actually went down. “I got chased by a dog when I was about 7 and, it was like a small, little dog, but I was so scared. My godfather who was there said that I outran the dog.” I’m laughing as she tells it energetically. After that, he took Bianca to the local track to try out athletics. At the time she liked it, but she wasn’t able to make the regular training sessions, and it was another five years before Bianca would start properly getting into the sport in her first year of secondary school. She tried football but, after fracturing her arm, she never went back. It’s true – she has achieved a lot for a young athlete. 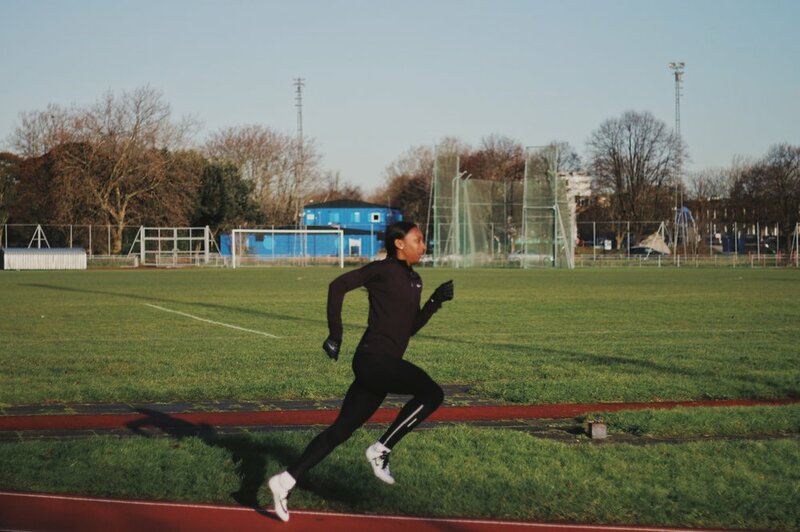 We’re meeting the week before her 24th birthday, and to date she’s competed for England at the 2014 Commonwealth Games, where she won bronze medals in the 200m and in the 4 × 100m relay. 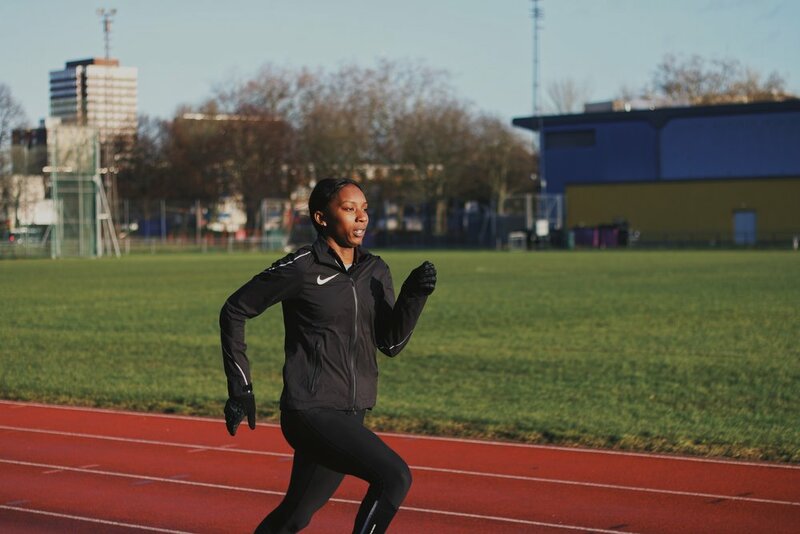 She has also won two medals as part of the British team at the IAAF World Relays, with silver in the 4 × 200m in 2014 and bronze in the 4 × 100m in 2015. 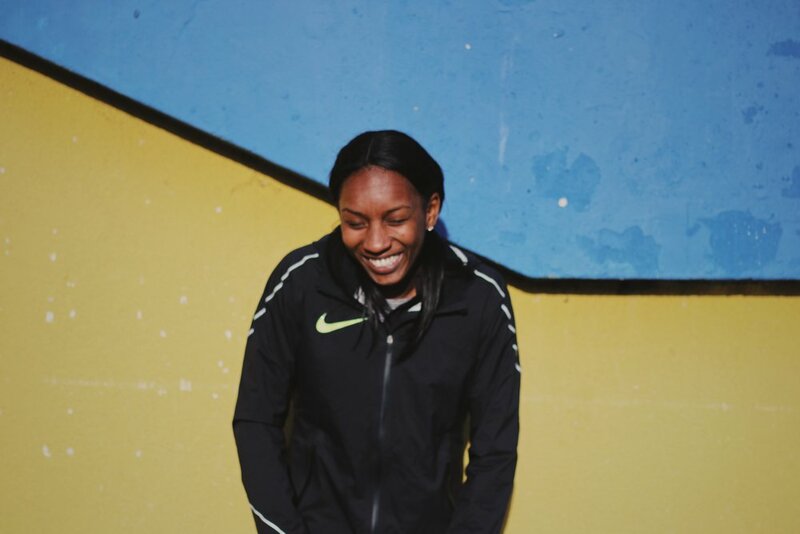 She ranks fifth on the UK all-time list in the 200m with her best of 22.58 secs. Not bad for someone who’s not yet 24. I ask how much the rest of her life involves athletics–does she tend to hang out with a lot of athletes? ”A bit of both really. I’m really close to Asha Philip. We always send each other videos and pics on Instagram. We don’t speak on the phone everyday but we do somehow connect which is really cool. My training group I speak to everyday. There is one girl I train with, Simone, who I speak to before we are at the track, when we leave the track, we’re always talking. It’s nice to have friends like that but it’s nice to have friends outside athletics too so I don’t have to talk about it all the time. It gets really boring. Even my mum when I come home asks ‘how is the training?’, and I’m like ‘ugh! Come on ask me something else, ask me how the dog is!’” What does she do in her down-time, I ask? “I love eating!” she says, enthusiastically. She tells me she’s pretty good at cooking, chicken and rice being her speciality. And there’s the sleeping – it sounds like it takes a lot of sleeping to make an athlete this fast. Bianca’s mind sounds pretty active already – conversation flows quickly and I predict studying alongside training wouldn’t be difficult for her to juggle again. 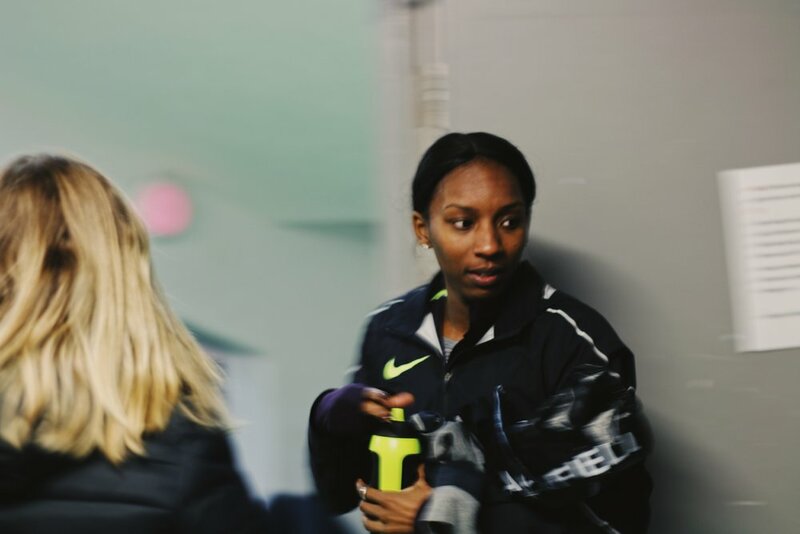 I start to wrap it up, aware that this isn’t the end of Bianca’s working day and she’ll be rejoining the other athletes, or the ‘quarter miler club’ as she calls them, to finish up training. I’m glad we got to meet at the track I tell her, where she seems very much at home. Bianca has given me the illusion of it being simple, her methodical approach clearly working, but it’s clear that she’s worked fiercely hard to get to where she is now. I suggest this to her and she responds, “you know what? I just love full time training.” And I suppose that that’s what people do when it comes naturally to them, when it feels absurd that they would be doing anything else.